Battle-scarred political warrior David Horowitz says it’s time for conservatives to take the gloves off—and take our country back. America is at a crucial turning point in her history, and Republicans have been losing ground to Democrats for too long. In his new book Take No Prisoners, Horowitz sounds a clarion call for conservatives to use liberals’ political playbook against them in the fight for America’s future. No longer can the GOP afford to let Democrats brazenly claim the moral high ground while the Democratic agenda bankrupts hardworking Americans. No longer can the Right respond to the Left’s emotional attacks with appeals to reason. Year after year, liberals have won voters’ hearts and minds by selling a fantasy of moral righteousness. Republicans need to learn from Democrats’ successes in order to turn the tide, David Horowitz argues, and they need to do it now. From his days as a founder of the radical New Left movement in the 1960s to his storied career as a leading conservative activist, Horowitz has a lifetime of experience in battleground politics. Now he lays out a winning political strategy for the Right that can save the country from sliding into economic and social ruin. 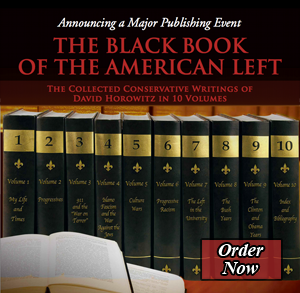 If conservatives want a better future for America, they need to be able to beat liberals at their own game—and David Horowitz is teaching them how.